We laugh, we frown, we squint, and as we age, these actions on delicate facial skin causes many of us to develop permanent creases between and around our eyes and forehead. Ironically, these types of lines can often cause us to look worried, tense, and angry even when we are in perfectly good moods. In 1986 Dr. Feinfield was one of the first physicians in the U.S. to study the functional effects of BOTOX®. Today, he offers BOTOX® as a fast a fast and effective way to improve lines, furrows, and involuntary muscular contractions. With the use of topical anesthetic cream and an ultra-fine needle, Dr. Feinfield injects BOTOX® into the skin right where the frown and furrow lines appear. The BOTOX® acts to block the impulses from the nerves to the muscles control the area and the line. 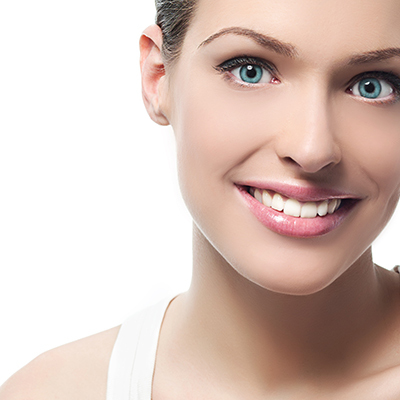 The effect of BOTOX® can last from 3-6 months or sometimes longer. The result is that you will look more relaxed and often quite a bit younger. Patients notice results in 2 – 3 days, and the effects last an average of 4 months. Less expensive than facial cosmetic surgery, BOTOX® is a wonderful alternative for patients looking for subtle results with very little downtime. Learn more about BOTOX® in our FAQ section. View Before & After photos of our BOTOX® patients. Read about Dr. Feinfield’s unique BOTOX® expertise. For beautiful cosmetic eye surgery results. Call or email the professionals at Berg·Feinfield Vision Correction today for your personal cosmetic consultation.